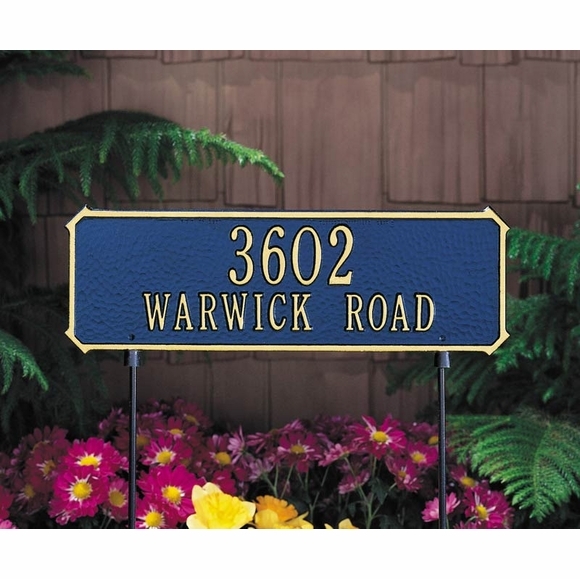 Personalized Two-Sided Rectangle Lawn Marker - - 2 side address sign with lawn stakes. Made in USA. The same personalization appears on both sides of this plaque. The one-line version holds up to five 3" characters OR up to seventeen 1.75" characters (including spaces). The two-line version holds up to five 2" numbers on line 1 and up to seventeen 1.25" characters (including spaces) on line 2.